My door is missing the strike plate and its keep opening up when there is a slight draft. So if I align the door it goes into the strike plate without any issues. I believe its a loose screw. So, I tried to remove the screws and reinsert them. 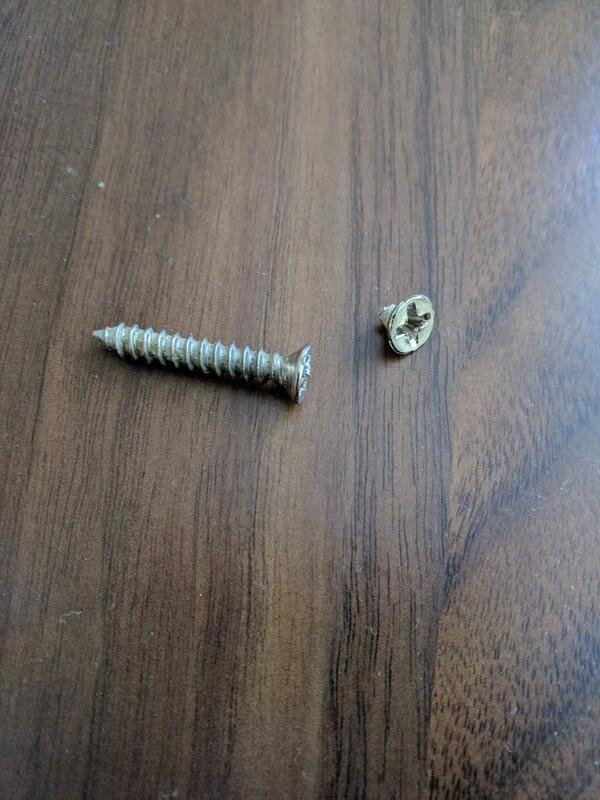 I tried to extract it with "Tack Life damaged screw extractor". That looks like a mobile home door. I would drill that screw head off and simply move the hinge up or down a bit. You would only be able to see one screw hole and the door will still close fine. You could put some colored wood putty in the hole if it's unsightly to you. I've done that many times in the past. Go easy with your drill! I see that the screw head still on the door has been destroyed also. When you are getting that bit, get some anchors. Like these. Those old holes are going to be too loose to receive new screws. The anchors will tighten them up. I have tried to fix doors with the problem you describe using the "fill hole with toothpicks" method. That works for a few months and then problem is back. The anchors are a lasting fix. Tap them into the holes with a hammer or rubber mallet. When you are getting the bit and the anchors get the new screws too. You sure can't use those old ones. Not the answer you're looking for? 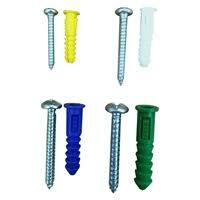 Browse other questions tagged doors screws or ask your own question. 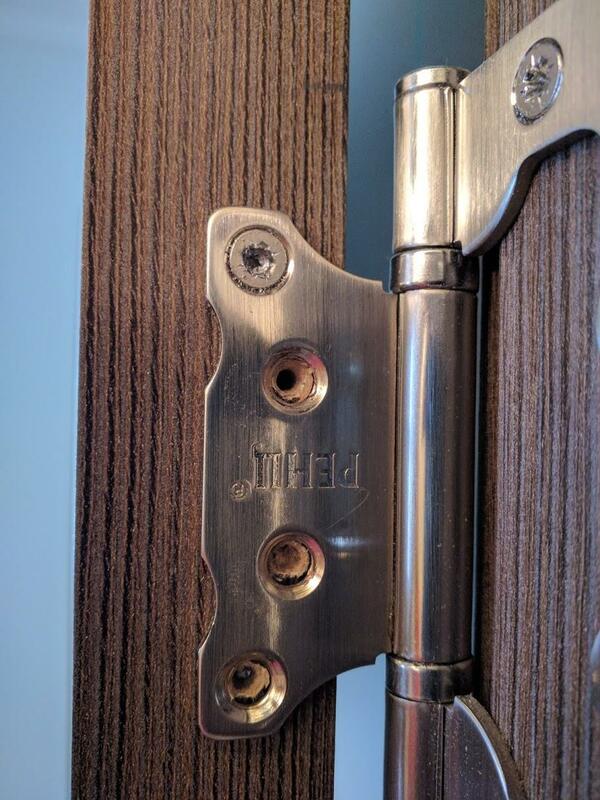 Do I need a wood hardener for worn door hinge screw holes? How do I fix interior and exterior doors that do not close properly? Alternatives to adjusting strikeplate height?